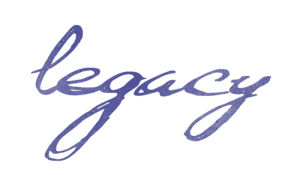 At Thompson Law, P.C., we focus on legacy, but a legacy does not just involve a single person. A legacy requires others to carry it on through the generations. It is not just one person’s values, it is the shared values of a group, of a family. 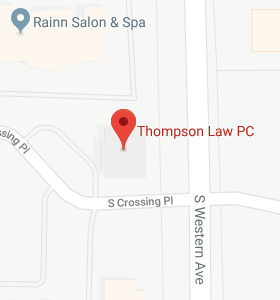 At Thompson Law, P.C., legacy (and every meaning that the word carries with it) is so important to us, which is why we have “Family Days.” This can be personalized in a variety of ways. How each Family Day proceeds and how I structure the time is dependent upon each family’s goals. For some, we do an overview of the estate plan with their children present to give them a general idea of the plan, as well as who is to do what and when. For other families, we incorporate parts of my “Legacy at the Next Level” program. “Legacy at the Next Level” goes far beyond tax planning, distribution design, and probate avoidance techniques. Instead, it gets to the heart and soul of what this family stands for, where they come from, and how they will navigate the future. We define the truths the family believes and how these truths will guide decisions in the future — maintaining the core principles that your family stands for. During the meeting, I share that at Thompson Law, P.C., we are guided in our decisions by the priority filter of Faith, Family, and Firm. After faith and family, we finally must consider how it will impact the firm. What is the footprint that will be left because of the decisions we make? In a time of Google searches and instant answers, uncovering and defining your family’s philosophy will not be as easy as an internet search, and it shouldn’t be. A legacy that is built to last for years and years to come shouldn’t be rushed. Everyone should be allowed time for feedback and input to make a good plan the best plan. Efficiency does not mean rushed. Isn’t the extra time spent on such an investment worth it in the long run?